Vapor phase solvent cleaning has been a mainstay in the metal processing industries since the early 1940's. Its popularity was driven by the ability to quickly remove organics such as oils, greases, lubricants, coolants, and resins in a single step. The part, at ambienttemperature, is lowered into a solvent vapor. The vapor, hotter than the part, condenses on the part and dissolves the organics. The part then is withdrawn to the freeboard area where the solvent evaporates from the part, leaving it clean, spot free, and dry. A vapor degreaser as shown in Fig 1 was inexpensive to own and operate. During the early 1970's, use of the most popular chlorinated solvent, trichloroethylene(TCE), dropped from a high of 609 million pounds in 1970 to a low of 90 million pounds in 1992. TCE fell out of favor due to environmental issues such as ground water pollution and airpollution since TCE is a volatile organic compound (VOC). Use of TCE was partially replaced by 1,1,1-trichloroethane in the early 1970's and then by CFC-113 in the late 1970's and 80's. Both CFC-113 and 1,1,1-tri were considered to be very safe from a worker exposure point of view. 1,1,1-tri was favored in the metal working world while CFC-113 became the top choice in electronics, aerospace, and many other precision cleaning applications. CFC-113 was effective, low-cost, non-toxic, non-flammable, and considered to be environmentally preferable until the discovery of the hole in the ozone. In September 1987, the international community signed an agreement to reduce the usage of CFC-113 by 50%. At that time, computer modeling suggested that such a reduction would halt theozone depletion. It was later learned through more sophisticated examination that a complete ban on CFC-113 and 1,1,1-tri was needed to protect the ozone layer. Worldwide consumption of CFC-113 peaked at 279 million pounds in 1989 and was banned in the U.S. in 1992. 1,1,1-triwas phased out at the end of 1995. The impending loss of these two important solvents started a frantic stampede by users and suppliers to alternative processes such as aqueous, semi-aqueous, and alcohol based processes. 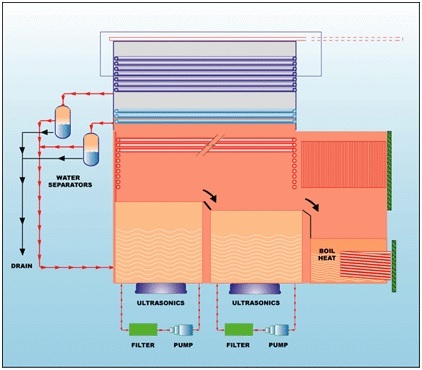 No clean fluxes and soldering processes were developed in the electronics industry. Metal working primarily shifted to aqueous cleaning and to no clean steps such as vanishing oils. Precision cleaning applications that could not tolerate water switched to vapor phase alcohol or engineered solvent systems. Today, a number of new solvent choices have come on the scene and recent advances in equipment have allowed the safe use of some of the older, more toxic, solvents. 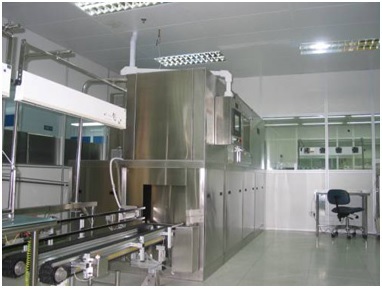 The advantage to the user is smaller foot print of the equipment, faster throughput time, and spot free finish produced by vapor phase drying as opposed to mechanical drying utilized in aqueous processes. The choice of the right solvent to use is not an easy one. Several factors must be considered. 1. Is the solvent compatible with the substrate to be cleaned and can it dissolve the contaminant? 2. Is the solvent and equipment safe for the worker? 3. Does the solvent and amount used comply with local, state, and federal regulations and company policy? 4. 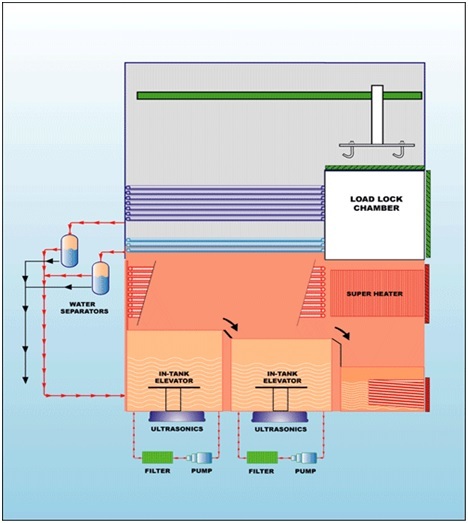 Does the solvent, process, and equipment match the required production rate and product flow? 5. Is the solvent and equipment within budget? In order to choose a candidate solvent for a specific process, it is helpful to consider the physical properties. Each of the solvents listed in Table 1 are commercially available and are acceptable as vapor phase solvents. This list is not inclusive by any means. Several solvent suppliers provide excellent solvents that are an azeotrope or blend of the listed solvents for specific purposes. As an example, the HFC, HFE solvents can be blended with trans-1, 2-dichloroethylene where additional solvency is required. They are used in a wide range of applications and a review of the properties will assist in choosing the right solvent for a specific application. The Kauri-Butanol Value is a measure of solvency power. It is important to choose a KB value that matches the contaminant to be removed and at the same time does not affect the substrate. An extreme example would be removal of epoxy.About the only solvent strong enough to attack epoxy is N-Methyl Pyrrolidone (NMP).If the substrate were steel, NMP would be acceptable but if the substrate were aprinted wiring assembly, NMP would be too aggressive. Generally the higher KB value solvents are used for heavy organics such as oils and greases. A good example iscyclohexane that excels in removal of rosin flux, oils, and heavy greases. Lower KBvalue solvents are used in critical cleaning where particle removal and light organics are found. KB values are not available for acetone and IPA. Practical experience indicates that acetone is a mild selective solvent best used for adhesive or mild organic removal. Cyclohexane excels in removal of rosin flux, oils, and heavy greases. IPA is the mildestof the three and is used extensively in critical cleaning for electronics, medical implants, aerospace, disk drive, or where a spot free hydrophilic surface is required. The Boiling Point is important when the contaminant is temperature sensitive such as wax or when the substrate is sensitive to temperature. 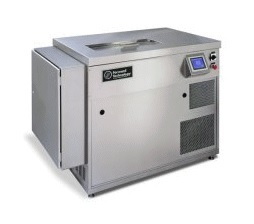 An example would be removal of wax with Perchloroethylene with a boiling point of 121 degrees C. Most waxes will melt and degrease nicely at that temperature but some substrates could not tolerate that temperature.It is also important to consider the purity of the vapor blanket in the machine. The higher the boiling point, the more likelihood of organic concentration in the vapor. This could lead to organic contamination of the substrate during the drying phase. Vapor Density is a measure of the weight of the vapor blanket where air = 1. Allof the selected solvents are heavier than air. That is good. It helps keep the solvent in the machine. Emissive solvent loss is a function of the boiling point and the vapor density. Also proper equipment design can minimize emissive loss. Surface Tension is the storage of energy at the surface of liquids. Surface tension tries to minimize surface. Imagine a droplet of water on a flat surface. The high surface tension of water (78) causes the water to form a bead. This force makes it difficult for water to penetrate tight crevices. The surface tension of the selected solvents is muchlower. A similar sized droplet of any of the solvents would spread over the surface rather than bead up. The solvent is able to creep into tight spaces, dissolve contaminate, and then be flushed out with fresh solvent. The lower the surface tension, the better. Vapor Pressure measures the pressure the vapor exerts over the liquid at equilibrium. This physical characteristic determines what solvents can be used as the sole solvent in vapor phase cleaners. Note that NMP and D-limonene have low vapor pressures. They also have high boiling points and cannot be easily converted from liquid to vapor. Both are excellent solvents, but should only be considered in co-solvent systems where a second solvent such as isopropyl alcohol can be used as the rinsing and vapor phase portion of the cleaning cycle. 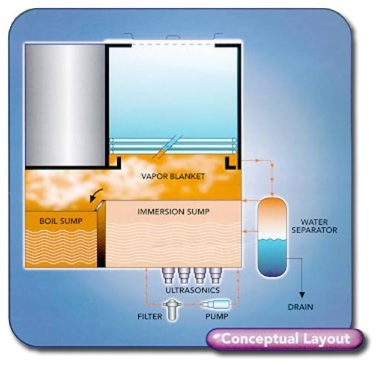 Heat of Vaporization is the measure of energy necessary to convert liquid to vapor at the boiling point. Note that most of the chosen solvents have a much lower heat of vaporization than the energy required for water (539 cal/gm). These solvents are much easier to dry from the part as compared to water. That means quicker drying times and lower energy costs. Once candidate solvents have been chosen for solvency and compatibility, the next step is to evaluate the solvent and equipment for worker safety and regulatory compliance. There are many methods of evaluation and each user must determine the degree of importance of various safety issues and also must comply with local requirements as well as company dictated requirements. Some important safety concerns are listed in Table 2. HAPsTitle III of the 1990 Clean Air Act Amendments lists 189 compounds that are classified as hazardous air pollutants (HAPs). At the very least, the HAPs solvents must be used in a NESHAP compliant machine and their emission to the atmosphere must be tightly controlled. Due to their known toxicity and potential damage to the environment, it is the opinion of this writer that HAPs solvents should only be used in airtight machines.Many companies have made the decision to move to alternate solvents to avoid the complications of dealing with HAPs solvents. TLV. Threshold Limit Values are guidelines established by the American Conference of Governmental Industrial Hygienists (ACGIH) to assist industrial hygienists in making decisions regarding safe levels of exposure to various hazards found in the workplace. TLV reflects the level of exposure that the worker can experience without an unreasonable risk of disease or injury. A low TLV number should suggest the solvent be used in an airtight machine or that the workplace and worker be carefully monitored so that the exposure level does not exceed the TLV. Flash Point. Any solvent listed with a flash point should only be used in equipment properly designed for low flashpoint or combustible solvents. There are many advantages to taking this route. Solvents such as IPA, cyclohexane, and acetone are excellent solvents relative to their physical properties and low toxicity. They clean well and produce a spot free finish. They are easy to dispose of and are inexpensive, actually cheap when compared with other alternatives. The disadvantage is since they are flammable; they require more expensive equipment to safely operate. Total Hazard Value. There are many methods of evaluating the safety of solvents. TLV, VOC, HAPs, PEL, AEL, ODP to name a few. The list goes on and on. If you have an environmental, health and safety staff, they are no doubt experts in this field. If you need help, you might want to consider a rating system called the Indiana Relative Chemical Hazard Score (IIRCHS)developed by the Clean Manufacturing Technology and Safe Materials Institute (CMTI) located at Purdue University. If you don't find the chemistry you are interested in, give Shayla Barrett, Process Engineer, a call. Shayla was very helpful in the preparation of this paper. The formula for the assignment of the total hazard value covers many health and environmental concerns. An excellent reference is an article entitled "Solvent by the Numbers" by Charlie Simpson published in the January 2002 CleanTech magazine. Now that solvent compatibility and safety have been addressed, the next step is to consider process flow and production capacity. This will determine the type of equipment you will need. Product offerings start with manual open top designs (Fig 2). To fully automated machines capable of cleaning a basket of parts every couple minutes (Fig.3). The solvent of choice will also impact the equipment decision. Some of the solvents are acceptable to use in open top manual machines, while other solvents, because of their environmental and worker safety concerns, are best used in air tight or vacuum machines (Fig. 4). Low flash point solvents require equipment (Fig. 5) built specifically to address flammability issues. They are compatible with acetone, cyclohexane, IPA, NMP, D-Limonene, as well as the other listed solvents that do not exhibit a flash point. The final step is the all-important budget for the project. 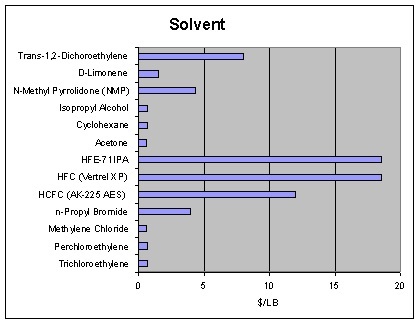 A solvent cost comparison appears in Fig.6. Equipment cost varies with the size, materials of construction, cleaning cycle, and degree of automation. Prices can range from less than $10,000 to over $1,000,000. 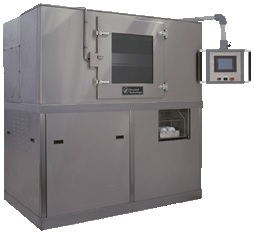 Vapor phase solvent cleaning is an important and valuable tool. This cleaning process offers complete washing, rinsing, and drying in a small footprint while minimizing energy, floor space, and process time. With today's efficient equipment and safe solvents, the process is expected to flourish.